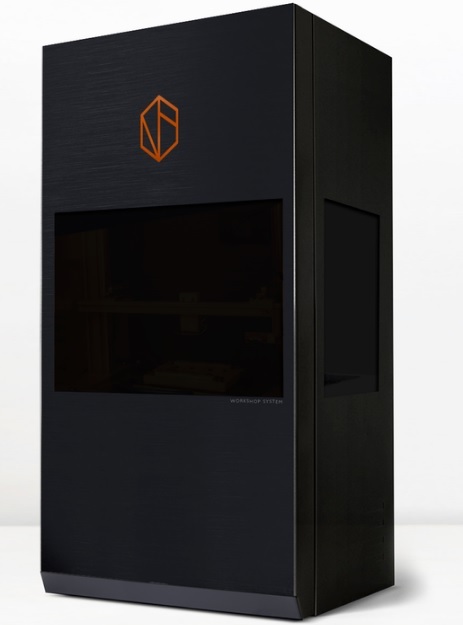 Nanofabrica, a Tel Aviv-based developer of precision additive manufacturing technologies, has launched its micron-level resolution industrial 3D printers, the Workshop System and the Industrial System. Both platforms integrate the company’s patented process which is based on a Digital Light Processing (DLP) engine, and Adaptive Optics (AO), a technology used to improve image distortions in optical devices such as telescopes. “A WHOLE RAFT OF TRADITIONAL PRODUCTION PLATFORMS HAVE DEVELOPED TO CATER FOR THIS DEMAND, BUT UNTIL RECENTLY, THE ABILITY FOR AM TO PRODUCE SUCH PRECISION AT ALL —LET ALONE AT VOLUME PRODUCTION LEVELS — HAS BEEN IMPOSSIBLE. An array of 3D printed parts made in various materials including 3 grades of ABS, 3 different grades of PP, as well as ceramic loaded parts. Photo via Nanofabrica. The Workshop System. Photo via Nanofabrica. With significant experience in material development, the engineers at Nanofabrica developed a range of proprietary materials, based on the commonly used industry polymers (ABS, and PP), which allow for ultra-high resolution. Such materials work in tandem with the company’s DLP process to produce micro-devices. Ceramic-loaded materials with loadings of up to 80% have also been 3D printed by Nanofabrica, who is now developing 100% ceramic materials with 1-micron resolution. The Workshop System and the Industrial System, which has a 5 X 5X 10cm build envelope, operate using this technology and material selection for digital mass manufacturing of precision parts. In medicine, this could entail microvalves, microsyringes, and micro implantable or surgical devices. As a fairly new enterprise, Nanofabrica, founded in 2016, sought to be the first “mover” in the micro AM space for production. Now, with the commercialization of its technology, the company aims to help designers and manufacturers to further reap the benefits of additive manufacturing. Inspection of a micro-honeycomb structure in PP, with wall thicknesses of ~20 microns over a height of a few mm. The part is made for a company that specializes in micro batteries. The ultra-high surface area is used to increase battery storage with a minimal footprint. Part size 1.6 x 1.8 x 2.3 mm3, print time 80 minutes, and print layer 2 microns. Photo via Nanofabrica.